The Hillsdale College Chargers’ season ended with a 65 – 59 loss to the Walsh Uni­versity Cav­a­liers in the G-MAC tour­nament semi­final on March 8. They finish with a 19 – 10 record overall, and went 14 – 6 against con­ference oppo­nents. The Chargers tied the game at 50 with six minutes to go, but they failed to top the Cav­a­liers who went on a 15 – 9 run to end the game. They only shot 37 percent from the floor which is only five percent better than their season worst, but they did tie a season-best in turnovers with just four. Junior guard Dylan Lowry led the team in scoring with 17 points. Sophomore forward Davis Larson led with four assists and two steals. Sophomore forward Austen Yarian and senior center Nick Czarnowski added 10 and 12 points, respec­tively. Hillsdale fin­ished third in the regular-season con­ference standings, behind no. 1 Findlay Uni­versity and no. 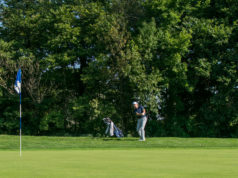 2 Walsh, who played each other in the G-MAC tour­nament cham­pi­onship and both advanced to the NCAA Division II national tour­nament. Larson earned a spot on the G-MAC All-Con­ference first team. Larson fin­ished the season aver­aging 12.2 points and 5.2 rebounds per game. He was named G-MAC Men’s Bas­ketball Player of the Week on Jan. 21 after scoring 24 points and seven rebounds to beat Findlay on Jan. 19. Lowry was named G-MAC second team All-Con­ference. Lowry stepped into a large scoring role this year, aver­aging 13.1 points a game. The 2018 – 19 season looked promising from the start, as the Chargers had two close losses against NCAA Division I oppo­nents in exhi­bition games. They then went 3 – 3 before beginning con­ference play. The Chargers were strong through the month of December, as they won four of five games before winter break. As January rolled around, the Chargers began what would become an eight-game winning streak that lasted from Jan. 5 through Feb. 2, which led them to a 16 – 5 overall record and a tie for the no. 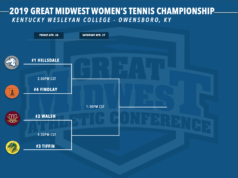 1 spot in the G-MAC. The streak included a his­toric win against Findlay, which senior guard Har­rison Niego called that game his favorite memory of the year. 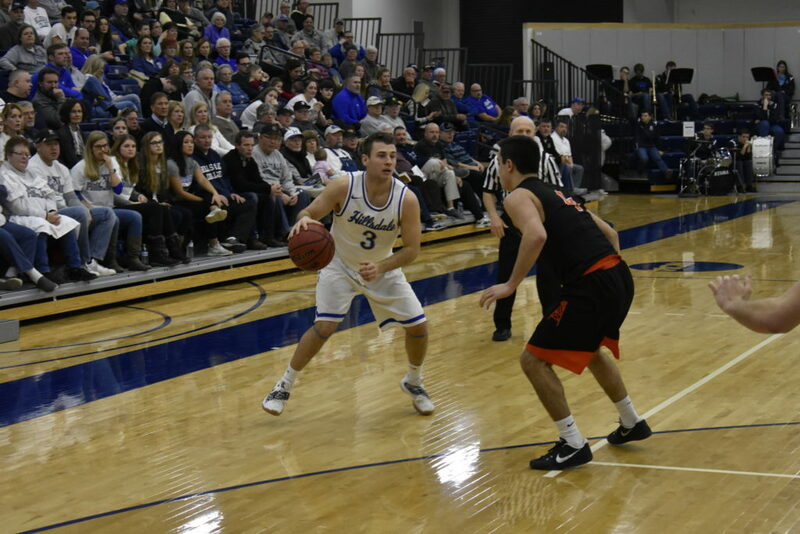 “Just in the manner we did it — in the midst of win streak, dif­ferent guys step up in key roles — and we did some­thing Hillsdale hadn’t done in a while, so we got to make history,” Niego said. In the final four minutes of that game, Hillsdale led by only two points, but the Chargers didn’t settle for a small margin of victory. They went on a 17 – 8 run to close the game on top, 93 – 82. The Chargers achieved much of their success this season amidst many trials. They started the season without the impact of Yarian and Czarnowski was coming back from an injury. Not long after Czarnowski was nearing full strength and Yarian returned, Neveau found himself on the bench with an injury of his own. He sat out beginning Dec. 1, but he was back in time to help his team defeat Ohio Dominican Uni­versity on Jan. 12. Tharp said his team was at its best when its number of assists was high and its defensive game was strong; a tes­tament to the team’s depth. On average, three dif­ferent players would score in double digits. In the Chargers’ biggest vic­tories of the year, their stats proved Tharp’s theory. During the 79 – 48 victory against Ohio Valley Uni­versity on Feb. 21, the Chargers had 20 assists, five steals, and nine blocks. Against Trevecca Nazarene Uni­versity on Feb. 28, they tallied 21 assists, seven steals, and four blocks. They also scored 27 points off turnovers, and the bench con­tributed 36 points to the 78 – 52 victory. Hillsdale grad­uates eight seniors this year, four of who were team cap­tains. Larson said he’s looking forward to filling those shoes. The Chargers had three freshman who red­shirted this season and three more freshman entering the program next year. Next season the Chargers will look to carry on the team’s strength and depth, as it proved to be a key asset for the 2018 – 19 team. The loss of all the players to grad­u­ation opens up some oppor­tu­nities for the younger players next season. Czarnowski and Behr will be tough to replace around the basket, but we have some for­wards waiting to show what they can do. The team will be a lot younger next season, how fast those players mature will determine what our prospects will be in the con­ference. It will be quite a chal­lenge from the expe­rience stand­point.